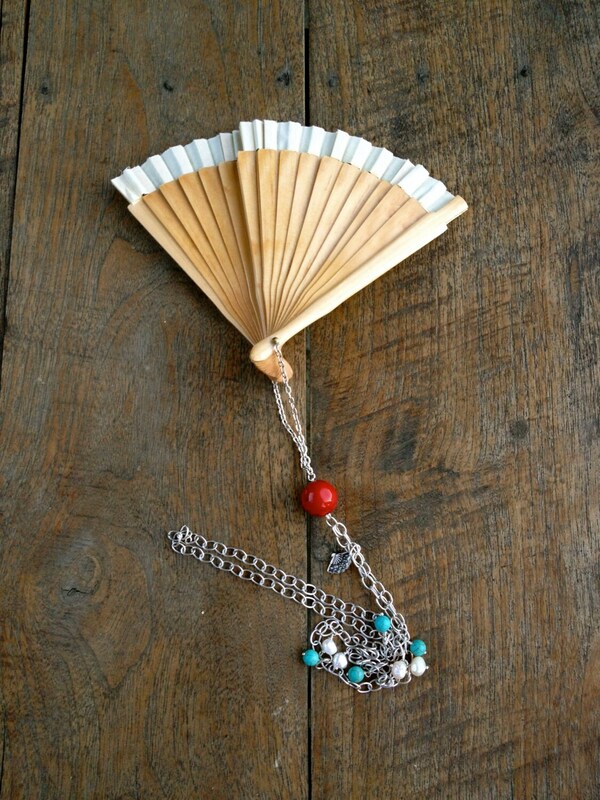 Original necklace with a fan as a peculiarity. 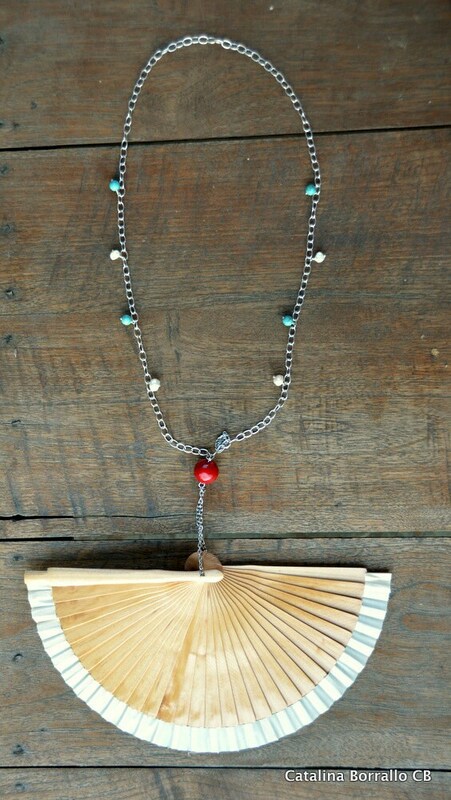 Practical long necklace for festivities, spaces and hot areas. 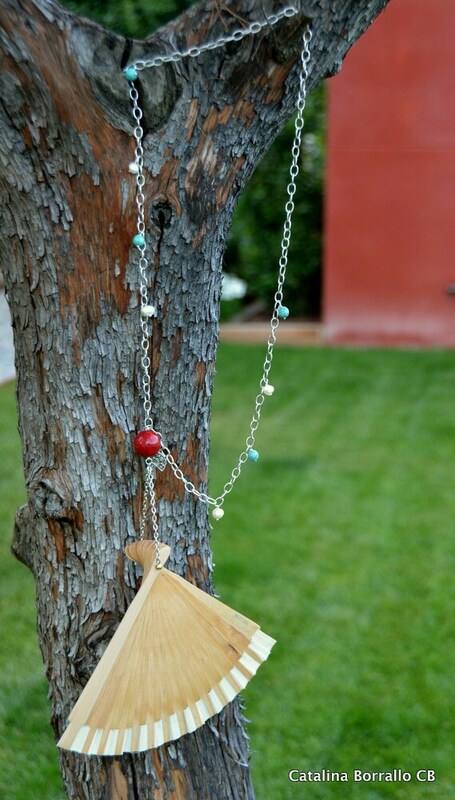 The chain is decorated with pearls and stones, howlite. A great basin of central coral embellishes it, gives it great value.